I'd like to address this one to the Christian parents out there who are feeling upset because they have recently learned that their child is an atheist. If you are a Christian parent to whom this has not yet happened, you might want to save this post so you can refer to it at a later date. If current trends continue, you may find it helpful someday. To those of you who find yourselves in this situation now, please understand that it is okay that you feel disappointed, confused, angry, or even like a bit of a failure as a parent (or as a Christian). It is only natural that you would want your child to value the same things you value and to maintain the faith traditions in which you have raised him or her. It is perfectly understandable that you'd now find yourself wondering what happened. Recognize that this is not your fault. Your son or daughter is not an atheist because you screwed up as a parent or weren't the best Christian you could be. 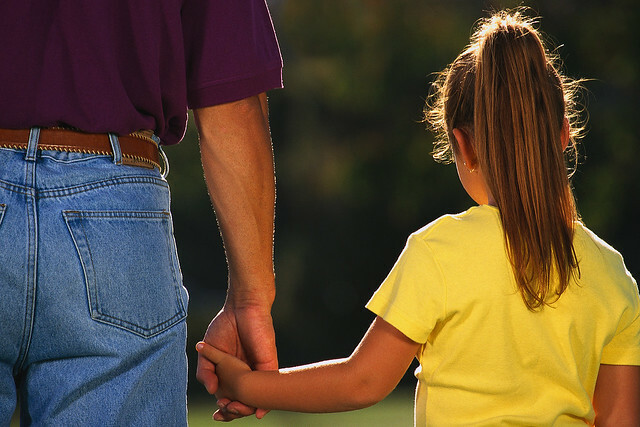 Your child is his or her own person with his or her own values, beliefs, priorities, and so on. I know this may tough to accept right now, but this independence is a good thing. It is what parents are supposed to aim for. Your son or daughter is a person and does not exist just to be a copy of you. While it is okay to feel upset right now, it is not okay to let your child's atheism ruin the relationship you have with him or her. This relationship, and your family as a whole, is far too important. If you let yourself ruin this relationship, you will regret it later. By the time you realize your mistake, it might be too late. Do not do that to yourself, your family, or to your son or daughter. If your Christian friends, pastor, or anyone else associated with your faith tells you to treat your child differently now that he or she is an atheist, they are misleading you. They will not suffer from what you do next, but you and your family might. If you think that your bible says that awful things are in store for your child and that you should behave differently toward your child now, recognize that many other Christians read their bibles quite differently. They manage to maintain great relationships with their atheist children. Don't give up something this important so unnecessarily. Your faith, your bible, and even your god(s) are not more important than your child. In all likelihood, your son or daughter struggled for some time before letting you know that he or she is an atheist. It takes some of us several years to reach this point, and it can be quite an ordeal. As bad as you feel right now, he or she has probably been through far worse. The confusion, uncertainty, guilt, and fear about how you would react are all very real. So what should you do now? I recognize that this is not easy, but you need to work through your disappointment, shock, anger, and whatever else you are feeling. You need to work through these feelings so you can be there for your son or daughter. You are still a parent, and this is your opportunity to act like a good one. In time, you can learn about atheism and learn how to be more tolerant of other viewpoints. It will get easier with practice. But for now, they key thing is that you do not ruin the relationship you have with your child simply because he or she does not share your faith. Don't make that mistake.